Coral Springs Pre Owned Superstore - Coral Springs Pre-Owned Superstore is a Used car dealer that has a large selection of used cars for sale serving Fort Lauderdale, Boca Raton, and Pompano Beach. 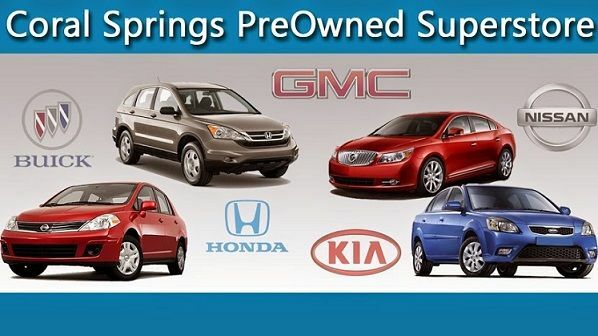 Coral Springs Pre-Owned Superstore is a Used car dealer that has a large selection of used cars for sale serving Fort Lauderdale, Boca Raton, and Pompano Beach. The Coral Springs Pre-Owned Superstore finance department is focused on ensuring your experience with our dealership exceeds your highest expectations. Our friendly finance managers work with people from all over including Coral Springs, Fort Lauderdale, and Boca Raton to ensure our customers get the right finance program at the most competitive rates. We strive to work with each customer to ensure their satisfaction. "#1 Volume Honda Dealer in Palm Beach"